How Will The XFL Playoffs Be Set Up? So in the original XFL the top 2 teams in each division would qualify, but then they would have the top Eastern division seed take on the 2nd Western division seed, and the top Western seed would take on the 2nd Eastern seed. That led to a San Francisco-LA Championship game which only involved California and may have hindered the ratings of the game. So to fix that they could have Eastern vs Eastern and Western vs Western so that the championship would be East vs West? I'm guessing that the XFL will stick with the playoff format that was used in 2001, but I think an East-West championship would be a better idea. Re: How Will The XFL Playoffs Be Set Up? 4 teams obviously making the playoffs. The league has surprisingly not announced divisions yet. One would figure that it would be New York, Washington, St. Louis and Tampa in the east, LA, Seattle, Houston and Dallas in the west. They could opt for two division winners and then the next two best wildcards regardless of division making the playoffs. This might insure that a 4 and 6 team doesn’t make the playoffs. Then have the #1 seed play the 4 and the #2 seed hosting the #3 seed. I prefer XFL fan’s idea. Eastern vs Eastern and Western bs Western. With the winners battling in the championship game. Last edited by XFL_FAN on Tue Jan 15, 2019 1:50 pm, edited 1 time in total. Good find. It’s what you and I have expected since the cities were announced. I doubt that the league will try a unique division structure that deviates from the normal geographical structure. Some leagues have had divisions that have nothing to do with geography, or like the NFL ignored it altogether like Indy in the south for example. An 8 team style division wouldn’t work unless it’s a 14 game season with everyone playing each other twice. This is what they should have done. 10 games is too short of a regular season to be taken seriously. In a perfect world, You’d have a league with a 16 game schedule. Mirror the NFL, if you care about comparable pro stats and fantasy. The more games, you have the better. That’s probably the goal eventually, The league’s gotta get to year one first before they can even get to year two and expansion. 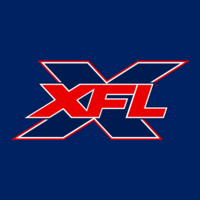 As I wrote in a recent article, there’s no guarantee that the XFL even gets to year one. That’s going to be hard enough. As for the playoff format. I am gonna throw out one that will be unpopular on this board but I think it would keep the greatest amount of fan interest for the entire season. The top 3 teams in each division make the playoffs (yes, 6 out of 8 teams). Justification, you want to keep fans engaged for as much of the season as possible. If you look back at 2001, every game of the final weekend would have had playoff implications therefore keeping fans of every team interested. Yes, I understand it would mean losing teams getting into the playoffs but the goal is to keep fans engaged. Further justification, The CFL lets 6 out of 9 into their playoffs despite an 18 game season so this is not unheard of plus look at the history of both the NHL and NBA and you will find that both those leagues have let a similar percentage of teams into their playoffs for much of their history. So inclusive playoffs are not unheard of and I think the XFL would be smart to go that route. While your idea isn't bad, the XFL has already stated that the playoffs would be just four teams. One thing I'm kind of surprised about is no bye weeks. We already see how the injury bug can take over an NFL team's season, will no breaks derail an XFL team in a 10 week season? I am ok with 6 teams making the playoffs. I am all for it, you'd have to extend an extra week to the season. Have the two division leaders get a bye in the first week of the playoffs. It would create a scenario where a 4 and 6 or even a 3 and 7 team might get in. If the original XFL had it, Memphis and New York would have gotten in and LA wanted no part of Memphis, who swept them during the season.